Use just one fire extinguisher for an entire fire training session. This training extinguisher and pump tank set ensure that the fire extinguisher is always filled with water during sessions. The pump tank that goes with our training fire extinguisher - 88 liters. With this tank, the fire extinguisher stays ready-to-use during the entire fire training session. Connect the extinguisher to the pump in two seconds, start the pump in one second, fill the tank fast! 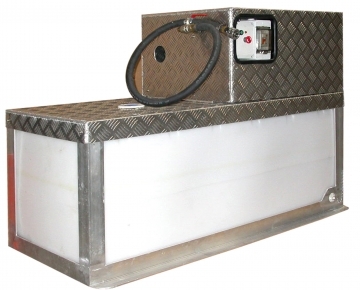 Higher capacity pump tank to go with our training fire extinguisher. It takes just two seconds to connect the extinguisher to the pump, and 11 seconds to start the pump and fill the extinguisher. 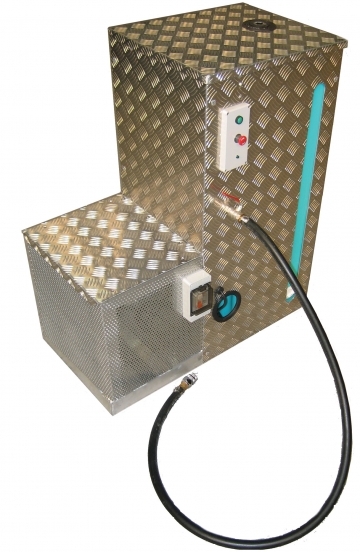 With this 170 liter tank, the fire extinguisher remains available during the entire session. 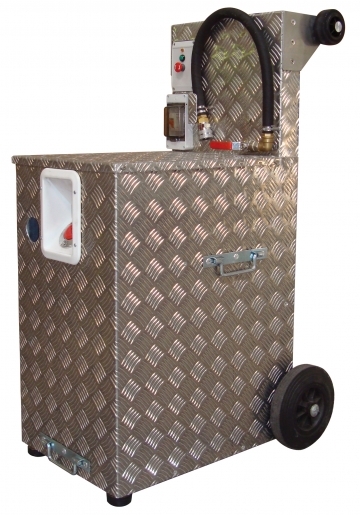 Mobile refilling station to go with your fire extinguisher. Thanks to the station's 40 liter tank, your fire extinguisher remains available throughout fire training sessions. This all-in-one fire safety training kit includes an 88 liter pump-tank module and two fire extinguishers. 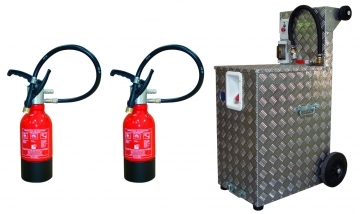 Complete mobile fire safety training kit, including mobile refilling station (40 liter capacity) and two fire extinguishers. 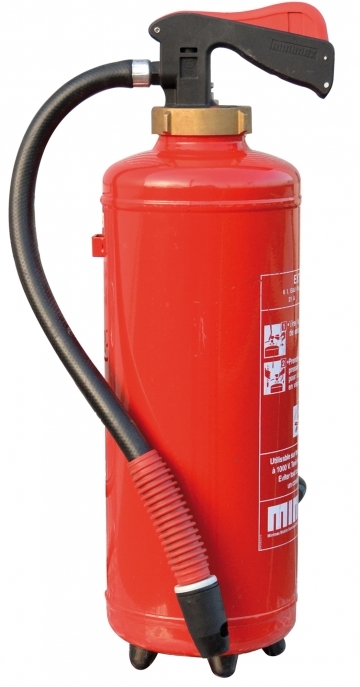 This fire training extinguisher is a combined air/water model. 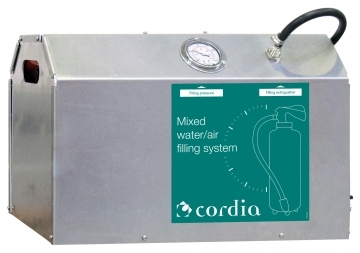 The loading system fills and pressurizes the extinguisher in less than 2 minutes with no need to open it. 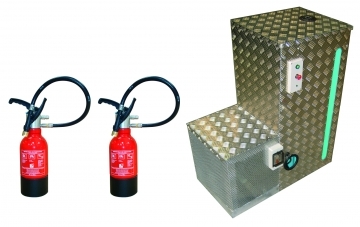 This innovative loading system enables you to fill and pressurize an extinguisher automatically in less than 2 minutes with no need to open it. 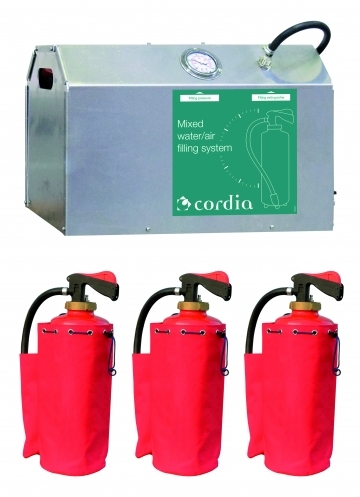 Here is a complete fire extinguishing kit for fire training purposes. 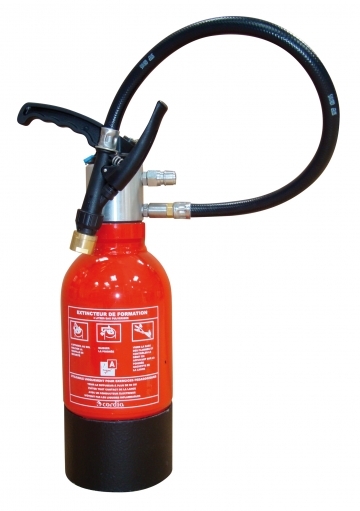 Fitted with an automatic loading system for filling and pressurizing fire extinguishers.